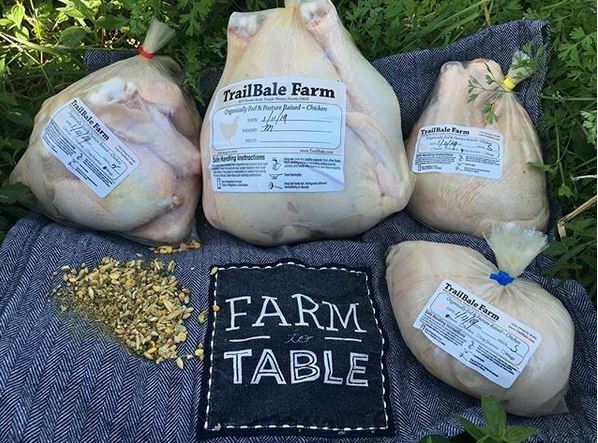 Raising chickens, lamb, pigs and turkeys, and selling grass-finished beef. Plus selling New Country Organic Feed. ​We are a family farm in Temple Terrace living our belief that good, healthy, local food should be available to all. We farm with the benefit of the land in mind, increasing fertility with each animal rotation, which allows us to raise animals without medications. They get organic feed, grass, weeds, hay, bugs and that’s it. We feed New Country organic, GMO-free, soy-free products. And now we sell it too! Subscribe to our mailing list, for all the latest farm news!